All those people sitting on trains with their iPads are going to do the same thing that all those people sitting in their offices on their laptops did – get their news from free sources that hyperlink to other free sources. Michael Arrington van TechCrunch reageert op een artikel van Alan Rusbridger van The Guardian over de iPad. The Journal Register wil als experiment 1 van haar kranten laten crowd sourcen: haar lezers volledig betrekken bij het plannings- en productieproces. Opsomming van denkfouten en vooroordelen waar mensen, en in het bijzonder journalisten, voor moeten oppassen. Je moet toestemming vragen om te mogen linken naar de site van de Japanse krant Nikkei. Dachten we ooit nog dat elke krantenjournalist een multimediajournalist moest worden, nu weten we dat elke journalist zich beter kan concentreren op het medium dat hij of zij bedient. De Nederlandse krant Trouw heeft een volledige aparte webredactie. “Or if you’re limiting the numbers of articles you can access for free, allow users to access more articles if they share headlines via social networks.” Paul Bradshaw over de lessen die uitgevers kunnen leren van een mflow, een muziekstartup. And he wonders why so many people think the Times paywall is doomed to failure; his own words suggest that any publisher who tries to charge for general news will fail unless all publishers join in. paidContent over Rupert Murdoch’s impliciete oproep tot kartelvorming. The Economist verscherpt haar paywall. Uitgever McClatchy gaat dan weer voor een beter advertentiesysteem in plaats van een paywall. “You’ll want to be building your reputation now.” Craigslist-stichter Craig Newmark vindt dat nieuwsorganisaties hun kwaliteit en hun reputatie moeten verzorgen. The Chicago Tribune digitaliseert haar oude foto’s en hoopt zo nieuwe inkomsten aan te boren. Forrester research finding that 70% of the content read online by under-40-year-olds was written by someone they know. Yahoo brengt een stijlboek uit. If newsrooms do it alone, they won’t do any better than they did with the web. Mobile-first needs to be an organization-wide strategy and priority: Executives, newsroom, sales, technology, marketing. Steve Buttry over een mobile-first strategie. “I think the iPad is a fatal distraction for publishers. They have this view that it will save them and help bring back the old model.” Richard Gingrass (Salon.com). The Wall Street Journal experimenteert met print-achtige advertenties in haar iPad-app. Ook eerdere experimenten werkten al zulke prototypen uit. De designers van NPR vertellen over het ontwerp van hun iPad-app. 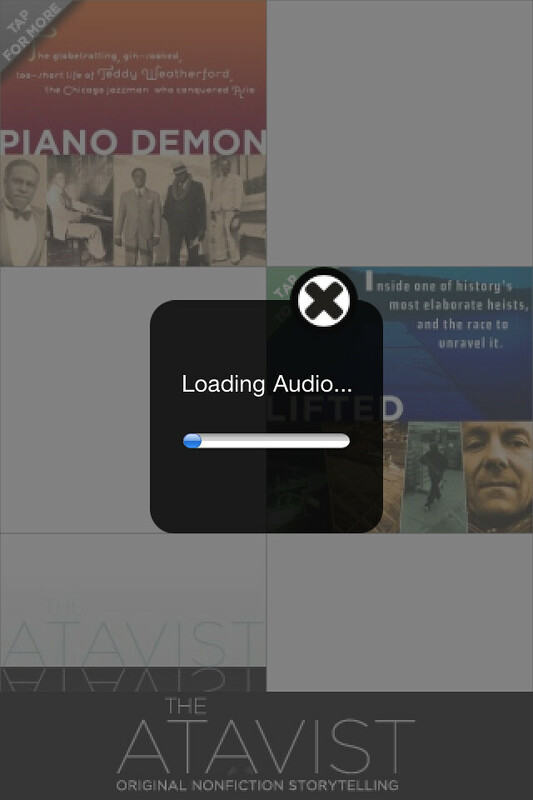 But for me, the Editors’ Choice app just gave me a weird case of cyberclaustrophobia. It’s like swimming in the river of news only to find it ends not at a lake but in a parking lot. It’s like reaching the end of the Internet. Joshua Benton over de manier waarop de iPad-app van The New York Times de beperktheid van een print-editie simuleert. Print designers are going to have to face up to reality and learn how to design for real users. Khoi Vinh van The New York Times.